This article is the third in a series, written by program officer Andres Torres, introducing the Democracy Program’s work in journalism. Read our prior posts to learn about our goal to create an information-rich region and our first strategy to support this goal: telling the untold stories. In my conversations with people in local media, I have heard many compelling ideas for how to improve the process of developing and telling our region’s stories. Some of these ideas have been tested, others have yet to be attempted. In the Democracy Program, we hope to support innovative activities with the promise to set the practice of local reporting on a more sustainable path. Specifically, we are interested in work that invites partnership, engages the region’s residents, and experiments with new solutions. To optimize limited resources. To leverage complementary skills. To extend reach. To augment impact. Our partners in media cite numerous reasons for informally and formally collaborating with each other. From cross-platform, multi-outlet, polylingual publishing partnerships to informal peer editing exchanges, collaborations are yielding dividends, and we are excited by the benefits further collaboration might unlock. Benefits to audience trust, to the bottom line, and to our region’s democratic health are all potential outcomes. Despite the benefits, we understand that building the trust and structures to execute successful collaborations can be resource-intensive, which presents an opportunity for us to draw on our role as grantmaker and convener to facilitate greater collaboration in the Chicago. The collaborations that we believe are critical are not just those between newsrooms, but between reporters and the people they serve. This can be a challenge in a region that is diversifying and in which people of color make up nearly half of the region’s population, though they made up less than 17% of newsrooms in 2017. But the cost of not genuinely engaging residents is too high, not just to journalism’s bottom line, but to the sustainability of our democracy. Less than a quarter of Chicagoans say they have ever communicated with a journalist, according to a recent study by the Center for Media Engagement at the University of Texas, Austin. This figure is even lower on Chicago’s South Side where only 17% of residents have ever communicated with a journalist, compared to 30% of the city’s North Side residents. Seeing these statistics, it is hard not to wonder at the impact differential engagement has on trust in media and news outlets’ sustainability, not to mention to level and quality of information all residents have to engage in our democracy. We believe more, and more regular, engagement is needed in journalism and we seek partners who are committed to engaging residents before, while, and after they report their stories. Embracing engagement and committing to collaboration will require updating the ways journalism works. This will require new outlooks, tools, and, perhaps, new organizations. With the pace of change in journalism, it’s difficult to predict how today’s solutions might apply to tomorrow’s situations. Tomorrow will surely bring new challenges and hopefully present new opportunities. In either case, we believe entrepreneurial thinking is needed to sustain and strengthen journalism. We welcome ideas for how we might move forward together. In the Democracy Program, we will work to identify and empower outlets, and the partners that support them, to be collaborative and engaged. We will also continue to work with universities and other organizations researching how to shift the way journalism works and collect and share the insights they bring. To this end, we look forward to continuing to convene and connect our partners to advance our shared learning and inform our respective work. The Democracy Program is currently accepting applications from nonprofit organizations that believe their work helps advance our goal to enhance collaboration, engagement, and entrepreneurship. We are also accepting applications for work supporting our other three journalism strategies, which you can learn about on our website and read more about on this blog. This article is the second in a series, written by program officer Andres Torres, introducing the Democracy Program’s work in journalism. Read our prior post to learn about our goal to create an information-rich region. In 2015, 15 locomotives operating in five Chicago railyards were upgraded. There are likely hundreds of locomotives operating at any given time in our region, so are 15 new ones significant? To some, including residents living near those railyards, they might have been. The government invested almost $20 million to upgrade the old engines because they were releasing over 7.5 tons of particulate matter and almost 200 tons of nitrogen oxide annually. The overhauls cut emissions by about 75%, comparable to taking about 10,000 cars off the road. In 2014, concerned citizens noticed healthy trees being cut down in their neighborhoods. There are often worthwhile reasons for taking down live trees, but these residents were unsure. They brought their concerns to a local environmental organization that investigated these claims. It examined public records and confirmed hundreds of live, healthy trees had been removed, despite a backlog of thousands of dead, standing trees remaining, and in contrast to the municipality’s environmental position that acknowledged the role trees play in improving air quality and addressing chronic flooding. Should these stories be told? It’s not for me to say, but the McCormick Foundation sponsored a study that revealed last year that only a third of Chicago’s residents believed the media were doing a good or very good job covering the issues that most mattered to them. Americans continue to value news, especially local news. It is a resource critical to active and informed civic engagement. The health of democracy in the Chicago region requires a local news ecosystem with a broad range of reporting that is sufficiently deep and accessible to inform and inspire residents in their civic activity. Yet, the media landscape is eroding. Reporter and correspondent jobs in newspaper publishing have decreased almost 50% nationwide from 2005 to 2017, with a less grim, but still serious decline in radio, TV, and even digital media. Mirroring national trends, the number of reporters and correspondents in the Chicago region continues to decline. According to the U.S. Bureau of Labor Statistics, there were 850 reporters and correspondents remaining in the region as of May 2018, a third less than a decade ago. Presented with this challenge, the McCormick Foundation sees an opportunity to improve democratic practice in our region by investing in efforts to enhance and extend the information available to citizens. Our first journalism strategy is to continue to support organizations and initiatives that provide essential public affairs coverage and help them broaden and deepen their reporting. When considering the evidence of increasing resource constraints at outlets, especially for reporting that takes more time to tell deeper stories, we see an opportunity for philanthropy to continue to support newsrooms to bring a broader array of questions into our civic discourse and dive deeper to explore and explain their interconnection. How we can best support newsrooms is a question we are continuing to explore and intend to keep doing so with our journalism partners. A primary vehicle will be our grantmaking. In 2018, the Democracy Program supported eight news outlets with a mix of general operating funds and support for projects that expanded the breadth and depth of stories available to the public. For example, we supported Injustice Watch’s robust coverage of Cook County’s judicial system in the run-up to the November 2018 elections, when voters rejected an incumbent judge for the first time in 28 years. The Foundation remains committed to partnering with outlets that are producing high-impact stories on public issues and increasing the volume, variety, and quality of reporting in the region. As we evaluate partnership opportunities, we will be seeking outlets that prioritize engaging with communities to ensure that the civic potential of broader and deeper reporting is realized. We are also interested in supporting newsrooms that emphasize collaboration over competition, recognizing the advantages this disposition presents for optimizing limited resources to deliver a broader impact. Finally, we seek organizations aligned with McCormick’s commitment to embrace diversity and inclusion and create equitable opportunities. Chicago has incredible reporters and high-achieving newsrooms. In them, we see promise to explore so many more stories. In our work, we see an opportunity to support these efforts. Whether these new stories investigate our transportation infrastructure and the policies that shape it, the challenges of our criminal justice system, the promise of our educational system, the opportunities for improving environmental policy, or other issues, we hope to invest our resources in building deeper and more inclusive narratives that inform and activate citizens to engage with the world around them. The Democracy Program is currently accepting applications from nonprofit organizations that believe their work helps advance our goal to broaden and deepen public affairs reporting in the region. We are also accepting applications for work supporting our other three journalism strategies, which you can learn about on our website and read more about on this blog. Every election, about a night or two before voting, my family gathers to caucus. Over a meal and a drink, we share research on candidates, try to decode any ballot initiatives, and discuss the merits of our options. We were fortunate during Chicago’s recent election to have a range of sources to draw from and inform our debate. New initiatives like Chi.Vote collected articles from local outlets so we could see, for example, education coverage from Chalkbeat Chicago alongside campaign finance data from Reform for Illinois and an article from The Daily Line offering context on the donors fueling the campaign. New outlets and new ventures augmented coverage available from long-standing sources, such as the Chicago Tribune, Chicago Sun-Times, Chicago Reader, WBEZ, and local TV stations. As we moved down the ballot, however, we had to dig harder to find information. What are the prospective rewards and risks of a public bank? Just searching City Treasurer candidates “Conyears-Ervin and Pawar” in Google News returned a fraction of the results that “Lightfoot and Preckwinkle” did, leaving us with more questions than answers. This challenge grew exponentially more difficult as we sought to sort between our incumbent Alderman and his several primary challengers. There was some great neighborhood-level political reporting in the most recent election, such as Block Club Chicago’s reporting on aldermanic forums or the City Bureau and Austin Weekly News collaboration to bring resident concerns into election coverage. However, as my family wrestled with our decisions, we found less, and less credible, information on the races closest to home or on issues that might be pressing to us, but perhaps weren’t central to the campaign, such as support for cultural programming and public art. I acknowledge my family’s privilege in confronting the challenge of finding relevant and reliable information to inform our participation in Chicago’s election. We can access information in English, we have reliable internet access, we have high educational attainment, which has helped us develop the analytical skills needed to sort fact from fiction, and we have robust networks with educated and civically engaged peers who can help us fill the gaps in our knowledge. But many Chicagoans lack these privileges. Information is essential to educating and activating citizens to participate in their democracy. Without civic participation, our democracy withers. While we are acutely aware of our need for civic information when we have a pressing decision, such as a ballot to punch, a healthy democratic society needs information perpetually and universally. It is around this lofty goal of creating an information-rich environment that supports all residents across our region, regardless of race or ethnicity, to be informed and engaged citizens, that the McCormick Foundation’s Democracy Program is focusing its investments in journalism. Our hope is not just to augment the quantity and quality of public affairs reporting, but ensure that across the region, all people have access to this information. We have developed four strategies for achieving this goal, and we are now accepting Letters of Inquiry (LOI) for grants to support organizations and initiatives that advance one or more of these strategies. Over the coming weeks, I’ll be introducing these four strategies on our blog to offer insights into how we came to these priorities and how we envision advancing the work. In the meantime, I welcome your questions. No Small Matter is the first feature documentary to explore the most overlooked, underestimated, and powerful force for good in America today: early childhood education. Through poignant stories and surprising humor, the film lays out the overwhelming evidence for the importance of the first five years, and reveals how our failure to act on that evidence has resulted in an everyday crisis for American families. No Small Matter will be debuting in Illinois this summer as part of larger campaign to raise awareness about the challenges and opportunities faced in early childhood. In 2013, an amendment to the Access to Justice Act created the Illinois Access to Civil Justice Council, with the mandate to create a pilot statewide legal assistance hotline and coordinated network of legal support services for military personnel, veterans, and their families. This effort is funded by a $2 filing fee on all civil filings until 2020. 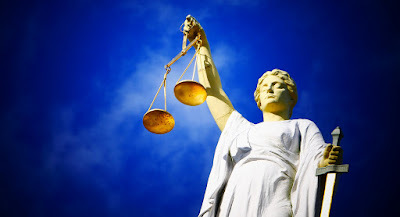 The Illinois Equal Justice Foundation (IEJF) was charged with the implementation of this network now called the Illinois Armed Forces Legal Aid Network (IL-AFLAN). Why is this important for the veteran community? Civil legal problems destabilize families and can be barriers to benefits, housing, and employment. The top civil legal needs fall into the broad categories of housing, family, and consumer law issues. In addition, veterans often need assistance with VA benefits and appeals and discharge upgrades. IL-AFLAN provides free legal aid services across Illinois utilizing a network of 10 legal aid organizations and law school clinics. In its first year, IL-AFLAN has helped 2650 people, provided 3000 services, provided $1.28 million in benefits to clients, and prevented homelessness for 111 clients. The Veterans Program is proud to partner with IEJF and IL-AFLAN to help connect this vital service to the communities across Illinois. Fresh off successful implementation of a high school civics course requirement, the Illinois General Assembly is considering driving high quality civic learning down to the middle grades. House Bill (HB) 2265 would require a semester of civics within grades 6, 7, or 8, including instruction on government institutions, discussion of current and societal issues, service learning, and simulations of democratic processes. The dilemma: Middle school students are ill-prepared for informed and effective civic engagement in our democracy. According to the 2014 National Assessment of Educational Progress (NAEP) in Civics, only 23% of 8th graders demonstrate proficiency in civic knowledge and skills, with a stark civic achievement gap along racial and ethnic lines. 44% of school districts have reduced time for social studies since the enactment of No Child Left Behind in 2001. The solution: High-quality civic learning opportunities in Illinois middle schools for ALL students can help reverse this trajectory, building civic knowledge and skills. 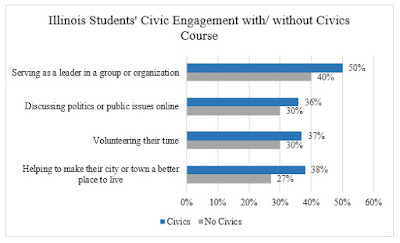 The more knowledgeable and confident a person is in their own civic competencies and skills, the more likely they will vote regularly, participate in a range of civic engagement activities, and believe that government is a source for good. By requiring a semester of civics in middle school infused with proven civic learning practices, HB-2265 will build students’ civic knowledge, skills, and dispositions, leading to lifelong, informed, and effective engagement in our democracy. Why now? With the new high school civics requirement firmly in place, Illinois is well-positioned to strengthen civic learning in the middle grades. Since October 2015, the McCormick Foundation has provided more than 1,300 hours of professional development to more than 10,000 teachers statewide. These professional development opportunities have improved teachers’ feelings of competence in key instructional strategies, and a Spring 2018 survey shows strong civic outcomes among students as a result of course exposure, including enhanced knowledge and skills. 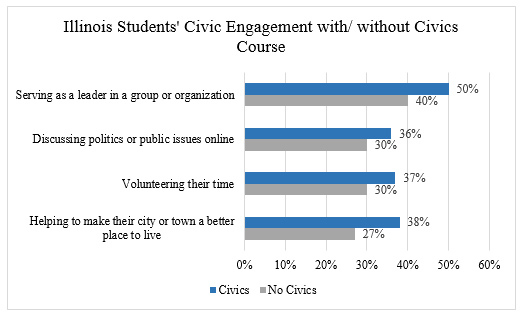 Students are also more likely to report engagement in a range of civic behaviors (see graph below). The plan: Like implementation of the high school course, the McCormick Foundation proposes a three-year, privately-funded $3 million plan ($1 million annually) to support middle school teachers, schools, and districts to incorporate a civics course in grades 6, 7, or 8. Ongoing teacher professional development opportunities, both in person and online, are central to our proposed effort. They will be offered in partnership with civic education nonprofits and institutional partners, including universities and regional offices of education. To ensure that expertise on best practices in civic education is embedded in Illinois middle schools, we intend to recruit and train instructional coaches in each school and/ or district serving students in grades 6-8. In addition to the McCormick Foundation’s ongoing investments in youth civic education and engagement in Illinois ($4.2 million in grants in 2018), our course implementation efforts have an annual operating budget of $1 million. We pledge to contribute an additional $400,000 to this effort each year and are working to raise the balance through local philanthropic partners. The problems that plague our state and nation are generational in nature. By investing in the civic development of our youth, we will empower them to resolve these issues, building a better Illinois and a heathier democracy. HB 2265 furthers this cause. It passed the House Elementary and Secondary Education Committee on School Curriculum and Policies on March 20 and advances to the floor with an April 12th deadline for consideration. Follow the Illinois Civics blog for further updates and the #CivicsInTheMiddle hash tag on Twitter. When 500 people gathered at St. Adrian Church in 2017 to announce the next phase of the Reclaiming Southwest Chicago Campaign it was both the culmination of years of work and the declaration that there was so much more to do. In a community that had been devastated by the foreclosure crisis, people would have been forgiven if they thought the neighborhood was dead and moved on. Instead, most of them stayed and fought for a better place to live, work, and play. They came together that day in May to say they were there for the long-haul. This begs the question: Why? Mostly, it was because they had built a network of people in the community, people like themselves that shared a common interest in the schools and safety and immigration and employment options. They knew this because they had participated in a Southwest Organizing Project (SWOP) community organizing campaign. They had met one to one with neighbors and fellow parishioners and parents and other stakeholders to talk about each other and what motivates them to participate in public life. Through these meetings, they built a strong social network. 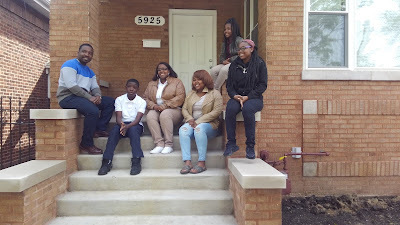 Stakeholders kept meeting and developed a Quality of Life plan for Southwest Chicago. They secured resources and they moved, together, into action. To date, together, they have leveraged more than $40 million in investments into the community. The Reclaiming campaign alone has transformed more than 80 buildings into 100 units of affordable housing, seen crime decrease by 55%, and seen all the local schools improve by at least one CPS level. Reason enough to come together and to keep working, together. In Wheaton, Cantigny celebrates 30 years of golf excellence and growing the game. To many, Cantigny Golf’s scenic and challenging 27 holes may appear to be well over three decades old. The layout has a mature look and feel, thanks to the stately oaks and hickories lining its lush fairways. Can it be only 30 years since Andy North struck the inaugural tee shot? In its January 1990 issue, Golf Digest named Cantigny Golf the “Best New Public Course in America.” The honor was a tribute to course architect Roger Packard and it put Cantigny on the map for golfers throughout the region. Glowing local press coverage also fueled demand for tee times. The late 1980s and 1990s were a boom time for golf. The golf industry has slowed since then but Cantigny still ranks among the top courses in Chicagoland. This summer, July 16-18, Cantigny will host the Illinois State Amateur Championship for the fifth time. Spectators are welcome! It’s important to know, however, that the McCormick Foundation has always positioned Cantigny Golf as more than a fine test of golf. Managed by KemperSports since 2014, Cantigny believes in the game’s power to improve lives. For example, more than 800 local students have participated in Cantigny’s caddie program, and for some the experience is life changing. Sixteen Cantigny caddies have earned the prestigious Evans Scholarship. In addition, more than 1,200 kids are introduced to “the game of a lifetime” every year through Cantigny’s junior golf clinics and Youth Links. Cantigny also partners with The First Tee of Greater Chicago and Illinois Junior Golf Association. 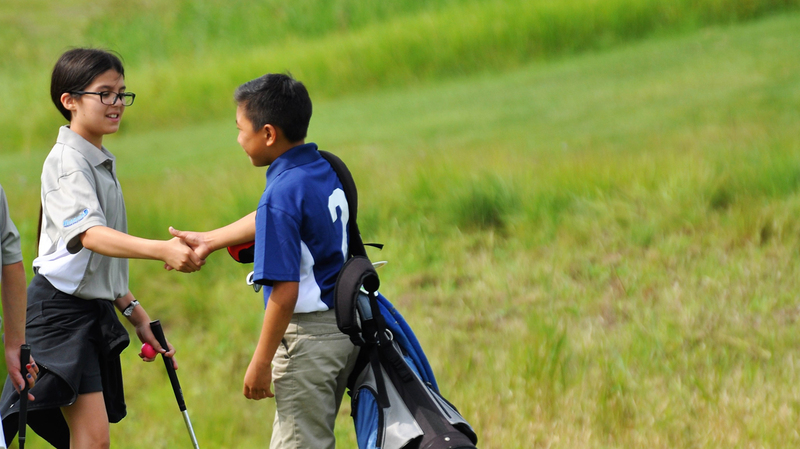 Besides being fun, junior golf promotes camaraderie, character building, responsibility and sportsmanship. Cantigny instructors emphasize these values right along with proper swing technique and putting drills. Reflecting the McCormick Foundation’s commitment to veterans, Cantigny Golf—through the free-to-join Cantigny Honor Club—offers special green fees and other benefits to veterans and active duty members of our armed services. It also supports organizations that assist veterans and children with special needs through donated facility use and staff time. Nonprofit partners include Revelation Golf, Sunshine Through Golf and Marianjoy Rehabilitation Hospital. Finally, Cantigny Golf demonstrates a strong commitment to the environment. The 300-acre property is a Certified Audubon Cooperative Sanctuary, a status achieved through responsible land and water management, and with high-quality natural areas for wildlife. Golf has changed a lot since Cantigny’s splashy debut 30 years ago. Check out the equipment and technology now offered at the Cantigny Golf Academy! But the traditions that define golf’s enduring greatness are intact and celebrated along Mack Road in Wheaton. For those who love the game, and those wishing to learn it, Cantigny awaits. For more information, or to book a tee time, please visit www.cantignygolf.com. Last month, the Center for Racial and Gender Equity produced its Racial Justice Scorecard: A Report on the Racial Equity & Aldermanic Accountability in Chicago. The report graded Aldermen on five issues that systematically benefitted or harmed Black Chicagoans: police accountability, equitable economic investment, equitable schools, workers’ rights, and affordable housing. The report found that as a whole, the City Council earned an F grade. While Illinois Justice Project’s work focuses on criminal justice reform, an issue that makes up only a subsection of what is covered in the CRGE paper, there is little doubt that the current failures of the justice system are a fair barometer of the broader issues addressed in the report card. Given many Black Chicagoans and Black communities struggle with the realities of the justice system, it is of no surprise that the city legislative body has struggled to meet the expectations of groups that are calling for a fundamental transformation in the way the city treats its Black residents. 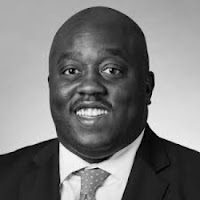 We see that failure in the criminal justice system most notably in the over-investment in policing and incarceration in Black communities, which at best works as a band-aid to problems built by historical disinvestment and at worst exacerbates the byproducts we see harming these communities; lack of economic opportunity and violence that outpaces other more advantaged neighborhoods. We should not just see these communities through their failures, but call for leadership which believes solutions must come through a more holistic investment in communities. That leadership should be willing to make wholesale changes to approaches that have produced consistently failing results. The report card acknowledged the work of Aldermen willing to challenge racially and economically discriminatory law enforcement practices, invest in historically disadvantaged communities, and develop solutions that give reformers the ability to radically change policing in Chicago. We hope that with future changes, new city leaders will abandon the old way of operating described in CRGE report card and foster solutions built on the foundation of the Collaborative Principles. For those that choose that path, the A+’s on next year’s report card are sure to follow.